Cambodia has a long history. It has both a proud past and a tragic history. The country had its period of greatness during the ancient Khmer Empire, an empire which built the fabled temple Angkor Wat, one of the seven wonders of the world. Following the Angkorian era which began at the beginning of the 9th century and collapsed 600 years later, Cambodia found itself in one of the most tragic periods in its history. For almost 500 years, the country came under the enduring pressure of foreign invasion and annexation. Both Thailand and Vietnam, its stronger neighbors, annexed large parts of Cambodian territory. Cambodia, unable to survive by itself due to constant foreign encroachment from its two more powerful neighbors, reached out to France for protection. The French protectorate of Cambodia was then established in 1863, signalling the beginning of Cambodia’s colonial period which lasted for 90 years before the country gained its independence in 1953. Following independence, Cambodia, under late King Sihanouk’s reign, saw major development in almost all areas. Unfortunately, peace was short-lived and the process of nation building did not last very long, as Cambodia soon after found itself engaged in a series of civil wars which dragged on for more than three decades. Starting in the 1960s, the country became a Cold War battleground and involved in the Vietnam War, was bombed by the US, and later suffered an unspeakable tragedy during the Khmer Rouge regime which lasted for almost four years and killed an estimated 1.7 million Cambodians. The Khmer Rouge genocidal regime was so devastating that it had instilled in virtually every Cambodian a strong sense of hatred, fear, and scepticism. Although Cambodia was fortunate to have survived the auto-genocidal regime, this tragic past has profound implications for Cambodia and its people. The memories of pain which cannot be blotted out easily and which will not fade away anytime soon have been carried over to present-day Cambodia and they still haunt the new generations of Cambodians. These bitter memories, either experienced first-hand or told from the survivors, have adversely affected the minds of Cambodian people from all walks of life. Common among them are negative thoughts and feelings towards foreigners or xenophobia. Xenophobia in Cambodia is a serious issue which should not be ignored or taken lightly. It is a critical issue that has to be addressed carefully and quickly. If not addressed properly and timely, xenophobic sentiments may lead to large-scale violence, discrimination, and hatred. One example was a violent riot against Thai embassy and Thai businesses in Phnom Penh in 2003. This incident was obviously motivated by anti-Thai sentiments among Cambodians. At that time, there were rumors that a famous Thai actress had claimed that Angkor Wat belongs to Thailand. Without knowing whether the rumors were true or not, many xenophobic and nationalistic Cambodians began a savage attack on anything related to Thai. Thailand and Cambodia share a common culture and history. People of both countries have made numerous claims regarding past events, lands, temples, arts, dances, and more. Each side has asserted and will continue to claim as their own relevant pieces of land, elements of arts and culture, and other claimable abstract and non-abstract things, despite historical facts. There is no doubt a deep-rooted anti-Thai sentiment among Cambodians and perhaps vice versa. Whenever something which is controversial or uncertain happens, as long as it involves Thailand and Thai people, a sense of anti-Thai sentiments, an element of Cambodia’s broader xenophobic issue, would take centre stage. A notable example is a series of fierce border clashes between Cambodian and Thai troops over the Preah Vihear Temple between 2008 and 2011. The skirmishes were sparked by a land dispute which was in turn caused by conflicting narratives of historical facts and animosity towards each other. All decisions, measures, and approaches to solutions of issues, be it political, economic, social, or cultural, tend to be clouded by anti-Thai sentiments which seem to exist in every Cambodians of all ages and genders. They seem to lie in hibernation inside Cambodian people and just need a small trigger to come back to life and begin, in many cases, to create problems and issues that could further exacerbate an already troubled situation. The consequences of which are generally unpleasant and harmful, easily leading to more racial discrimination, hatred, and anti-Thai nationalism. This issue of xenophobic sentiments, if not taken into account properly by both Cambodian and Thai governments and relevant stakeholders, will remain and will continue to harm Cambodia-Thailand relations and prevent harmonious co-existence between Cambodian and Thai people. The anti-Thai sentiment is just one thing; anti-Vietnamese nationalism is another, an issue which appears to be even more serious in Cambodia. It is widely believed and known among Cambodians that Vietnamese people’s intention to encroach on Cambodian land never changes. Many Cambodian people hold a perception that Vietnam is a threat to Cambodia’s territorial sovereignty. This constant pessimistic thought about the Vietnamese, the so-called anti-Vietnamese sentiment, exists in almost every Cambodians to varying degrees. Much like the anti-Thai sentiment, this hatred towards Vietnamese people lies in a dormant state until it is “awakened” by any issue or incident involving Vietnamese. “Youn”, a Khmer word commonly used to refer to Vietnam and Vietnamese people, is arguably a pejorative term associated with anger and hatred. Khmer people often use this word instead of its equivalents, Vietnam and Vietnamese, to refer to their eastern neighbors when they are angry or want to express negative emotions about Vietnam and its people. As noted two decades ago, “forms of Cambodian racism towards Vietnam and the Vietnamese minority in Cambodia did not develop in a historical vacuum but rather developed particularly in response to the expansionist tendencies of the pre-colonial imperial state”. Apparently, almost if not all Cambodians know or have heard stories of Vietnam’s encroachment on Cambodian territory. They are all aware of the fact that many Cambodian provinces were lost to Vietnam. 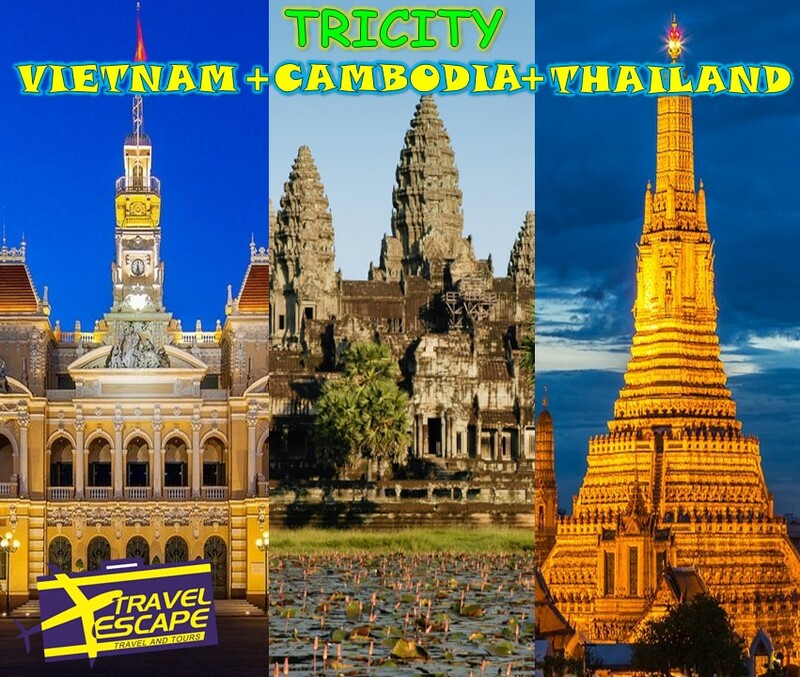 In particular, it is well-known among Cambodians that Vietnam encroached Prey Nokor (formerly a Cambodian territory) and institutionalized it as a city, now known as Ho Chi Minh City. emories and knowledge of Vietnam’s encroachment on Cambodia’s sovereign territory are passed down from one generation of Cambodians to the next and are seen to be ingrained in the minds of many Khmers. Even now Cambodian people still think that Vietnam wants to “swallow” Khmer land and that Vietnam’s wish to take over Khmer territory still remains. This line of thinking is not helpful. Not only does it fuel anger, hatred and distrust among Cambodians, but it also stirs up widespread anti-Vietnamese feelings in Cambodia. Recognizing the deep-rooted anti-Vietnamese sentiments among Cambodians, Sam Rainsy, the exiled leader of the now-dissolved opposition Cambodia National Rescue Party (CNRP), has always taken advantage of this issue and used it as part of his party’s main propaganda. As one of the authors of this analysis has argued in a recent article, anti-Vietnamese sentiments have always been a political tool Sam Rainsy and his party’s senior officials use to undermine their opponents, Prime Minister Hun Sen and his ruling Cambodian People’s Party (CPP) elites. The use of the anti-Vietnamese sentiment, another form of Cambodia’s xenophobia, is harmful, although the opposition party draws support from it. What this anti-Vietnamese rhetoric does is create tensions, division, and confrontations among Cambodians. Sam Rainsy and his party elites should begin focusing their attention on tackling other important social issues, not dwelling on using anti-Vietnamese sentiments for political gain at the expense of Cambodia-Vietnam relations and amicable existence between people of the two neighboring countries. Moving beyond the anti-Thailand and anti-Vietnam sentiments, Cambodia still has to face other forms of xenophobia. There were memories of anti-French sentiments, particularly among older Cambodians, driven by the impact of French colonization of Cambodia. However, now there seems to be no evidence of any anti-French sentiment in Cambodia today, as all attention is given to more modern issues facing the country. Looming large are key issues such as income generation, self and family survival, education, politics, and other critical social issues. The Cambodian government should improve law enforcement and work hard to reduce the large and growing number of unpleasant incidents such as violence, accidents, and abuses that tend to involve the Chinese diaspora living in Cambodia. The anti-Chinese sentiment has emerged from these issues. It is particularly and surprisingly fortunate that seemingly the whole country has moved beyond discrimination and historical hatred against France whose colonization of Cambodia led to the loss of Kampuchea Krom (former territory of Cambodia) to Vietnam in 1949. Although there have been petitions demanding the decolonization of Kampuchea Krom territory, there seems to be no sign of animosity expressed towards France and the French people. Little is known why Cambodians seem to disregard the fact that the French colonialist “cut” Kampuchea Krom and gave it to Vietnam, despite numerous protests from Khmer Krom activists in Cambodia and abroad. However, that Kampuchea Krom was ceded to Vietnam by the French has obviously further intensified anti-Vietnamese sentiment among Cambodians. Moving forward, two issues remain which could potentially become new forms of xenophobia in Cambodia, if not addressed properly and in a timely manner. The first is the incumbent government’s recent reiteration of the US bombing of Cambodia in the late 1960s and early 1970s that contributed to the rise of Pol Pot and the Khmer Rouge which took control of Cambodia in 1975 and immediately proceeded to decimate the country and its people, wishing to create a pure, self-reliant, and sovereign Khmer nation. Hun Sen and his team’s criticism of the United States, although offering short-term benefits to their party, is also harmful. It may over time develop a sense of hatred and ill will towards the US and American people, potentially creating another form of xenophobia in Cambodian society, that is, anti-American sentiment among Cambodians, particularly those who support the current ruling party. In reality, history is history; it can neither be denied nor changed. However, it is much better to learn from past lessons to plan for the present and future rather than let the past control the present and dictate the future. The ruling elites of the CPP, in this regard, should move beyond their recent narratives of the “US bombing” and, like the CNRP, should direct their attention to resolving pressing social issues facing Cambodia. Repeating and promulgating the damage that the US inflicted on Cambodia in the 1970s will not benefit Cambodia and its people in the long run. It only exacerbates the current poor relations between the US and Cambodia, which is certainly not a viable foreign policy option for the latter. The second issue which has arisen recently in Cambodia is the emergence of anti-Chinese sentiment which appears to be on the rise. The perceived increase of anti-Chinese feelings among many Cambodians are seen as a negative side effect of the growing Chinese presence in Cambodia, especially in the country’s coastal province, Sihanoukville. Over the last few years, Chinese investors have in large numbers flocked into Sihanoukville to invest in building casinos, apartments, theme parks, and resorts. The Chinese’s increasing presence has implications for the Cambodian province and Cambodia at large. Not only can one see the mushrooming of high-rise buildings, casinos, restaurants, and other businesses run by the Chinese immigrants, but one can also experience or at least feel an increase in crime, violence, drug trafficking, and pollution, in the once-sleepy coastal province. There are frequent reports in the news about violence, abuses, scams, cybercrime, and violations of expected social norms and rules of law, many of which involve the Chinese living and working in Cambodia and in Sihanoukville in particular. Until October 2018, for example, 1,649 Chinese nationals were deported from Cambodia for scams and cybercrime offenses. These many incidents, together with similar stories happening in other countries, have arguably contributed to the emerging rise of anti-Chinese sentiments among the general public in Cambodia. This new issue of anti-Chinese nationalism may not be seen as a serious issue now, but if left to develop freely and not addressed properly and timely, it is likely to lead to a big problem, consequences of which is less predictable and should raise concerns for the Cambodian government and Cambodian people. It is the duty and responsibility of the current ruling government of Cambodia to find ways to address the issue while it is still in the early stages. Although the Cambodian government, especially the ruling elites, has significantly benefited from Cambodia’s close relationship with China, it is wise to diplomatically bring this issue to the discussion table and work towards collaborating with the Chinese government to tackle this rising anti-Chinese sentiment among the Cambodian populace. It is always a good idea to make big problems small and small problems even smaller. To do so, the Cambodian government, with support from its Chinese counterpart, has to do something to deal with this emerging issue. Xenophobia in Cambodia, whether it is a long-standing issue like anti-Thai and anti-Vietnamese sentiments or a new one like anti-Chinese sentiment, is a critical issue that needs to be addressed properly and taken more seriously than it currently is. As has been argued, Cambodian youth have crucial roles to play in improving Cambodia-Vietnam relations. Youth are the backbone of the country and the future of Cambodia. They are “Cambodian ambassadors in the making who are responsible for raising the profile of Cambodia in the region and the international stage”. They can contribute to navigating the Cambodian ship as long as they are given chanced and their efforts are recognized and valued. Thus, engaging youth in all realms of political, economic, social, and cultural life, for example, is important and is what the Cambodian government should strive for. Cultivating and nurturing mutual respect, understanding, and tolerance between people of all nations involved is also crucial. In the case of Thailand and Vietnam, prevalent racial hatred, contempt, and discrimination resulting from awful past history and recent events can probably be minimized through the cultivation of genuine and mutual respect between Khmer and Thai people and between Khmer and Vietnamese. With respect to improving Cambodia-Thailand relations, one of these authors has also argued in an article in the IPP Review for the important role of mutual respect and the role of Cambodian youth in shaping Cambodia’s relations with Thailand. As it is argued, Cambodian people, youth in particular, “should not dwell on their dark history; instead, they should use lessons from history to help them make informed and impartial judgments when dealing with issues concerning Thailand and its people”. However, these cannot be done without support from the Cambodian government as well as governments of Thailand and Vietnam. All parties have vital roles to play in fostering and improving their respective relations. Efforts, commitment, and cooperation at all levels, individual, institutional, and national, are essential. These are important steps towards fostering good relations between these countries which have regarded each other as one’s own traditional enemy. With respect to the US, the Cambodian government should stop using the rhetoric of US bombing of Cambodia. While it is true, it only worsens Cambodia’s relations with the world’s largest economy. Although Cambodia has great relations with China, its largest economic and military benefactor, it would be unwise to alienate the US and fully embrace China. The most viable approach or way forward for Cambodia is to make as many friends as possible. It is undeniably true that having two best friends, the US and China, is absolutely better than having just one friend. All Cambodian eggs should be placed on two or more baskets, not just one basket. It is safer and more secure that way. On the issue of anti-Chinese sentiment, Cambodia should take it into account most seriously. Now it seems to be not an issue yet but it will be a problem, a big one, if no due attention is paid to it. Recently, Prime Minister Hun Sen has urged and assured that many Chinese immigrants who are working in Cambodia, particularly in Sihanoukville, will leave the country once the Chinese projects for which they work are complete. This assurance is helpful but not sufficient. The Cambodian government should improve law enforcement and work hard to reduce the large and growing number of unpleasant incidents such as violence, accidents, and abuses that tend to involve the Chinese diaspora living in Cambodia. The anti-Chinese sentiment has emerged from these issues. Addressing them would also address the recently growing anti-Chinese feelings among the Cambodian general public. Finally, xenophobia in Cambodia is a major social problem that requires absolute attention from all stakeholders in the country. It is neither the job of the government nor the duty of Cambodian citizens alone. 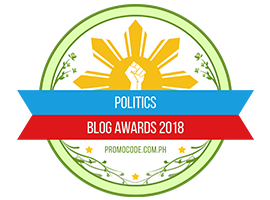 It is a critical issue that requires cooperation, commitment, understanding, and willingness from all parties, regardless of their political views, positions, or beliefs. Cambodian xenophobia and paranoia, no doubt, have a malign influence on Cambodia’s efforts to promote the Kingdom’s integration into the region and the world. It will definitely damage the image of Cambodia on the global stage in the long term. It is time for Cambodians, the ruling elites and the ordinary people, to work together in unity and in harmony to solve key issues facing their country. As a saying goes, “God helps those who help themselves”. Thus, Cambodians must work collaboratively and willingly to help themselves and their country. Posted in ASEAN, Cambodia, China, China-Cambodia Relations, Diplomacy, Foreign Policy, Hun Sen, Regionalism, Thailand, Vietnam. In Vietnam, the sudden death of president Tran Dai Quang in September 2018 created a huge power vacuum, which was filled by Vietnamese Communist Party chief Nguyen Phu Trong. By merging the two most powerful positions in Vietnamese politics, he has become the strongest Vietnamese leader since the death of Ho Chi Minh in 1969, edging the communist state towards the Chinese model of centralised rule. Cambodia, in theory a multi-party democracy, has practically become a one-party regime after an election that saw Prime Minister Hun Sen’s Cambodian People’s Party win all parliamentary seats in July 2018. He is now one of the world’s longest-serving heads of government, having held the premiership for 33 years since 1985. Things are no better in Thailand. Four years after seizing power, the military junta has made — and broken — five promises to hold a general election to establish a civilian government. Even if the sixth promise is fulfilled in February 2019, it will be difficult to sen Myanmar, the intensifying Rohingya crisis has not only created Southeast Asia’s biggest humanitarian concern but also exposed the reluctance of Aung San Suu Kyi and her National League for Democracy to complete the democratic transition that started in 2011.e swift change, as the junta will exploit all means available to dominate the electoral process. In Myanmar, the intensifying Rohingya crisis has not only created Southeast Asia’s biggest humanitarian concern but also exposed the reluctance of Aung San Suu Kyi and her National League for Democracy to complete the democratic transition that started in 2011. The autocratisation of the Mekong region has significant implications at a time when its giant neighbour China continues a long march to the south. China has committed billions of US dollars in concessional loans and credit to Mekong countries via the Lancang-Mekong Cooperation (LMC), an ambitious initiative which was launched in 2016. But the LMC’s actual impact remains to be seen. While the LMC is ostensibly aimed at creating a ‘shared future of peace and prosperity’, China can use it as part of a carrot and stick strategy due to its largely opaque and non-binding frameworks. It should be noted that Beijing has a record of working closely with autocracies. Beijing has helped leaders in Central Asia guard against ‘colour revolution’, provided African autocrats with an alternative model of development and has aided socialist Venezuela in crisis. A less democratic Mekong region will be more exposed to China’s strategy of buying influence, which often involves closed-door negotiations and dealings. The LMC, as well as other established regional mechanisms such as the Mekong River Commission and Lower Mekong Initiative, have also failed to address the core issue which theoretically binds Mekong countries together: transnational water management. In July 2018, a section of the Xe-Pian Xe-Namnoy hydropower dam in southern Laos collapsed, reportedly killing 34 people, leaving 97 missing and displacing 6000 others. 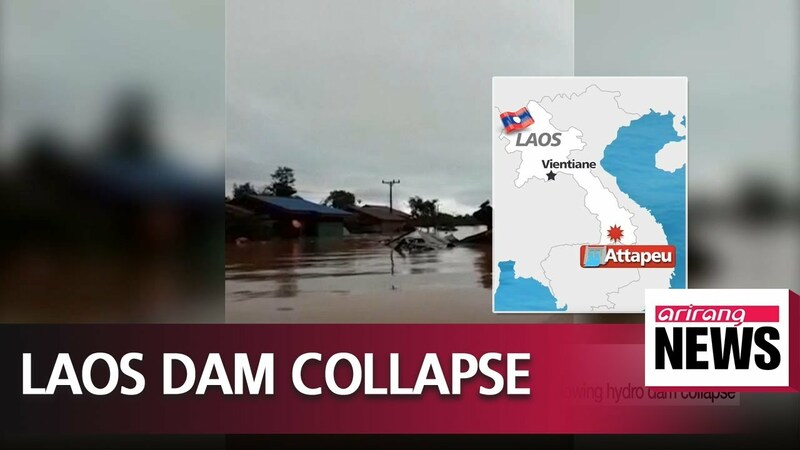 The collapsed part of the dam was only an auxiliary section and the whole project is built in one of the Mekong’s tributaries instead of the main stream. Needless to say, it could have been an even greater catastrophe. In Vietnam, for example, hydro dams are considered to be time bombs ticking over the head of the Mekong Delta on which 90 per cent of Vietnam’s rice exports depend. Despite the incident, the Laos government resumed its dream of becoming ‘a battery for Asia’ by permitting work to continue on several hydro projects. Beneficiary countries of the hydropower boom such as Thailand and China gave condolences and support to Laos but continued building their own dams. China, for instance, has built 7 and has plans for a further 21 dams on the Mekong — plans formulated without consultation with lower-Mekong countries. The ongoing trade war between China and the United States also has the potential to impact the Mekong region both economically and politically. If the trade war accelerates, investors will consider countries like Vietnam and Thailand, and to a lesser extent Cambodia, as shelters to circumvent higher tariffs and other technical barriers. Exports from the Mekong region to the United States, many of which are substitutes for Chinese goods, will also benefit from the trade dispute. On the other hand, the region also bears the risk of a flood of Chinese goods into domestic markets, which is already a big issue. More broadly, the Mekong region will continue to be a battlefield for influence between the two global superpowers. The rumour that China seeks to build a military base in Cambodia, although dismissed by Hun Sen, should be a serious warning for Washington. Of the five Mekong countries, only Vietnam is wary of China’s charm offensive due to a lingering sovereignty dispute in the South China Sea. The superpowers’ tug-of-war will perhaps come to play a key role in shaping the region’s development trajectory. 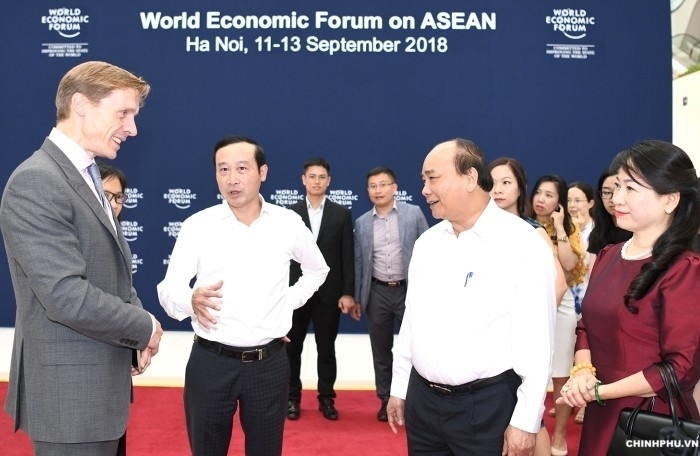 Nguyen Khac Giang is the lead political researcher at the Vietnam Institute for Economic and Policy Research (VEPR) at the Vietnam National University in Hanoi. Posted in ASEAN, Cambodia, China, Diplomacy, Donald J Trump, Foreign Affairs, Hun Sen, Laos, Mekong, Myanmar, Regionalism, Security, Thailand, US foreign policy, US-China Relations, Vietnam, www.eastasiaforum.org, Xi Jinping. He should confront Trump’s mistakes and put forward a positive agenda. In Asia, anxieties about the United States’ role in an increasingly China-centered world are palpable. While some fear that the United States is retreating from its international obligations, other worry that it is bent on instigating conflict. .As U.S. Vice President Mike Pence visits Southeast Asia and the South Pacific this week to attend the Association of Southeast Asian Nations (ASEAN) and Asia-Pacific Economic Cooperation leaders’ meetings, he should make clear that the United States remains a stalwart partner for the region with a vision for peaceful cooperation and development. The United States is not withdrawing into fortress America. It remains actively engaged in global affairs and is focused on strengthening the economic and military foundations of its power. The country’s central aim is to stay competitive in a world driven by a dynamic Indo-Asia-Pacific region. That goal, of course, derives from a real concern that China is challenging the postwar order and an understanding that the United States needs to find new ways to renew its diplomatic, economic, and military competitiveness. But as U.S. President Donald Trump said last November in Da Nang, Vietnam, the United States has been “an active partner in this region since we first won independence ourselves,” and “we will be friends, partners, and allies for a long time to come.” U.S. Secretary of State Mike Pompeo has likewise been a forceful advocate for diplomacy in the region. Meanwhile, Congress is on the cusp of passing a bipartisan bill designed to bolster U.S. engagement there. The Asia Reassurance Initiative Act would authorize $1.5 billion in new funding over the next five years for regional diplomacy, development, and defense programs. In short, rumors of America’s disengagement miss the mark. Pence also needs to reassure the region that when it comes to China, the United States is not seeking a war—trade, cold, or hot. Instead, the U.S. administration wants a fair, open, and cooperative relationship. That doesn’t mean ignoring China’s attempts to compete with the United States, including through grey-zone operations like muscling the Philippines out of Scarborough Shoal and militarizing artificial islands despite pledging not to do so. And America will not shy away from meeting challenges directly. But on a fundamental level, the Trump administration would like to channel competition toward cooperation where possible. In fact, the Trump administration rejects the idea of Thucydides’s Trap: that conflict between a rising power and a status quo power is inevitable. Leaders have agency, and it is up to them to determine the future course of relations. And for its part, the United States seeks to remain a force for good, not to contain or curb the China’s peaceful rise. 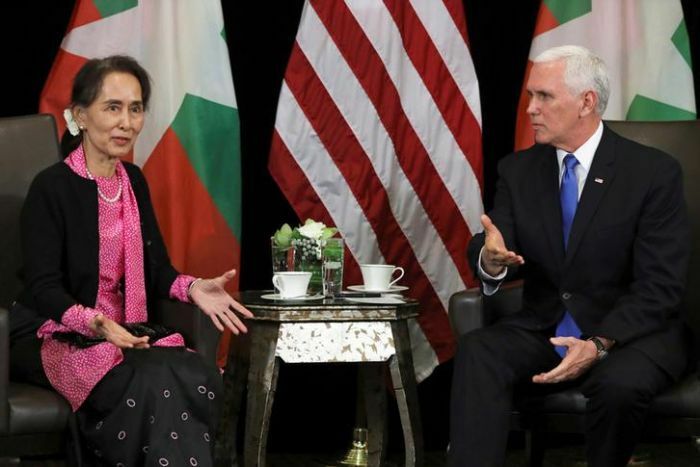 US Vice President Mike Pence has confronted Myanmar’s de facto leader Aung San Suu Kyi at the ASEAN summit about what is being done to hold those responsible for the persecution of the Rohingya ethnic minority in her country to to account. This will be a difficult balance to strike. And here, China’s approach to the South China Sea is instructive. It alone pursues claims there based in part on historical rights rather than contemporary international law. It showers the region with promises of infrastructure investment, but it fails to deliver transparent, equitably financed, high-quality development. It promises to follow an ASEAN Code of Conduct for the region but seeks a veto on the right of ASEAN members to extract natural resources from the South China Sea or hold military exercises there with Australia, Japan, the United States, and other non-ASEAN states. But the fear that a major confrontation, or even war, will play out in Southeast Asia is greatly exaggerated. China seeks to advance its goals by means short of war, and the United States aims to cooperate where it can but compete where it must. The resumption of the Diplomatic and Security Dialogue—a U.S.-China working group involving top defense and diplomacy officials—is thus a good sign. Beyond dispelling myths about U.S. retrenchment and bellicosity, Pence should also put forward a positive agenda for Asia. Here, he will have to confront some of Trump administration’s mistakes. Many in the region question the United States’ predictability, because Trump has reversed major U.S. initiatives, from the Trans-Pacific Partnership to the Paris Agreement on climate change. Meanwhile, he has escalated tariff wars without articulating a coherent strategy for achieving results, and his uneven application of penalties has rankled allies and competitors alike. Nor has the administration deployed soft power well, often ignoring U.S. values like democracy and human rights, turning the country’s back on refugees, using unbefitting language, papering over conflicts of interest rather than cracking down hard on corruption, and being far too comfortable with authoritarians. Despite these missteps, Pence can use the trip to Asia to burnish four cornerstones that should be the foundation of the administration’s free and open Indo-Asia-Pacific strategy, especially in Southeast Asia and the Pacific Islands. Those four elements are a rules-based order, sustainable economic development, inclusive diplomacy, and effective security cooperation. First, upholding and peacefully adapting the set of rules chosen freely by strong and independent sovereign states will be the foundation for U.S. engagement with the region. The United States has enduring interests in the South China Sea: stability, freedom of navigation, and resolving disputes peacefully and without coercion. Although ensuring the rule of law will require far more than freedom of navigation operations, the United States will continue to help maintain the openness of the seas by sailing, flying, and operating anywhere international law permits. Importantly, seafaring nations from Asia and Europe are also demonstrating their commitment to the same cause by conducting similar operations. Second, for growth to be sustainable, it has to be fair and reciprocal. It should be pursued in a manner that is transparent, non coercive, and environmentally sustainable, especially when it comes to the global maritime commons. There is nothing wrong with China’s Belt and Road Initiative that sunshine and high standards of accountability cannot fix. Meanwhile, the United States should go even further to mobilize public and private support for trade, investment, and development. Eventually, the country can create a whole constellation of allies and partners that can invest in energy infrastructure, digital connectivity, transportation, and more. For instance, the United States is in active discussions to leverage the BUILD Act to expand joint efforts with allies and partners in the Philippines, Thailand, Cambodia, Indonesia, Malaysia, Vietnam, and elsewhere. In doing so, it can set a gold standard for development in the region. Take Indonesia for example. China aside, a prosperous, democratic, and stable Indonesia is in the vital interest of the United States. Yet few in Washington are aware of the opportunities that await in Southeast Asia’s most populous country. The U.S. government’s Millennium Challenge Corporation has just completed a successful economic investment in Indonesia. Pence should ensure Washington starts negotiating a follow-on compact while simultaneously using BUILD Act funds to facilitate new U.S. private sector entry into Indonesia. A third tenet of U.S. policy in Southeast Asia is inclusive diplomacy, including trust-building with competitors and partners alike. ASEAN deserves broad support for its unique convening authority. Certainly, that is a major reason why the United States embraces the body having a loud unified voice in Indo-Pacific engagement. It also is in favor a strong, binding Code of Conduct—not one that unfairly limits the freedom of action of Southeast Asian states. Inclusive confidence-building measures, such as plans to extend the voluntary Code for Unplanned Encounters at Sea to include coast guard vessels and efforts to protect rapidly depleted fishery stocks, deserve action. The United States should signal its support for promoting a new framework of “Resilience, Response, Recovery,” which is one of several useful concepts being put forward by ASEAN under Singapore’s chairmanship. At the same time, ASEAN members are pragmatic. The United States will often have to cooperate with them on a bilateral or trilateral basis to find effective responses to real challenges. In terms of diplomacy with China, it might be worth creating a new crisis avoidance mechanism—perhaps mirroring the 1972 Incidents at Sea agreement. The bilateral pact did not prevent all U.S.-Soviet mishaps, but it helped avert major disasters, something that is even more important in a region where intermediate-range cruise missiles, hypersonic weapons, and the military use of cyberspace and outer space are unrestricted. Finally, the United States will continue to support effective security cooperation centered on information sharing, capacity building, and interoperability. The United States should buttress such efforts by firming up its commitment to respond appropriately to threats of coercion and the use of force. Boosting the ability of allies and partners to see better what is happening in their maritime backyards will help them become more resilient. And assistance with capacity building, especially for coast guards and other law enforcement agencies, will give nations a better ability to protect their sovereignty. Bilateral, “minilateral,” and larger multilateral exercises can also help create a readiness for dealing with future contingencies. In sum, a confident but not boastful United States is neither stepping away from Asia nor trying to provoke wars there. Rather, it aims to ensure stability in the region so that all countries there can advance both sovereign interests and regional cooperation. Posted in ASEAN, Aung San Suu Kyi--Nobel Laureate, China, Defence-Security, Democracy, Diplomacy, Donald J Trump, Foreign Policy, Foriegn Affairs, Geo-Politics, Human Rights, Hun Sen, Maritime Security, Myanmar, One Belt and Road Initiative (BRI), Regionalism, Security, South China Sea, Tun Dr. Mahathir Mohamad, US-ASEAN Relations, US-China Relations. The recent 51st ASEAN Foreign Ministers’ Meeting (AMM) in Singapore saw progress on the South China Sea issue. 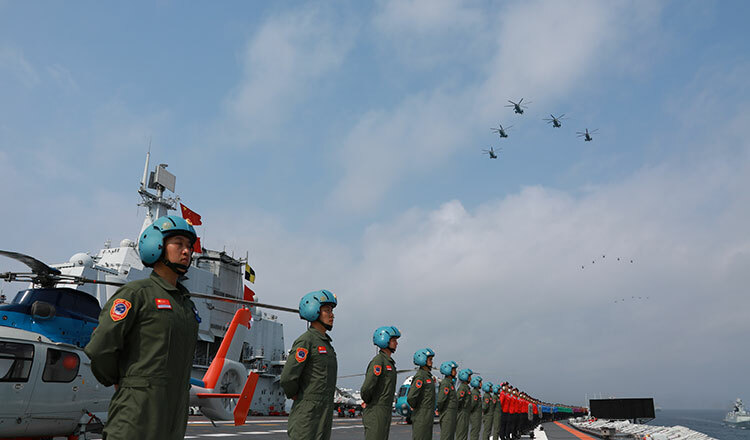 This demonstrates the importance of ASEAN as a regional anchor and the viability of ASEAN centrality in the midst of geopolitical change, in spite of the regional grouping’s obvious weaknesses and limitations, write Henrick Z Tsjeng and Shawn Ho. The 51st ASEAN Foreign Ministers’ Meeting (AMM) and related meetings in Singapore from July 30 to August 4 was generally hailed as a success. Most notably there were no reported delays in the issuance of its joint communique this time round. HE Prak Sokhonn, Cambodia’s Minister of Foreign Affairs and International Cooperation. At the start of the annual ASEAN-China PMC, Singapore’s Minister of Foreign Affairs Vivian Balakrishnan announced that the foreign ministers from Southeast Asian countries and China have agreed to a draft document that will form the foundation of negotiations for a South China Sea COC. He described it as “yet another milestone in the COC process”. Even so, Mr Balakrishnan sought to manage expectations by cautioning that negotiations are far from over, and that the competing territorial claims in the South China Sea have not been resolved as the COC “was never meant to resolve territorial disputes”. It should be noted that Singapore had been the country coordinator of ASEAN-China relations for the past three years, during which Mr Balakrishnan had worked tirelessly with his Chinese counterpart to enhance Asean-China relations, notwithstanding Singapore-China relations going through rough patches in those years. US Secretary of State Mike Pompeo has been giving assurances of US interest in the region, such as the $113 million in new technology, energy and infrastructure initiatives for Asia announced before his visit to Southeast Asia, as well as his announcement in Singapore on the US plan to provide $300 million in funding “to reinforce security cooperation throughout the entire (Indo-Pacific) region”. ASEAN is the bulwark that holds the Southeast Asian region together. ASEAN centrality and unity remains key to the grouping’s ongoing quest to build a resilient and innovative ASEAN and to improve its relations with external partners. So being united in common purpose, having an acute sense of destiny and being strong in resolve to preserve regional peace and prosperity, that is the foundation of ASEAN centrality as its move forward into the next 50 years beyond. In light of the ongoing geopolitical flux in the region, ASEAN will increasingly be the anchor of the region’s architecture. The past week’s AMM and related meetings in Singapore have reflected this crucial role that ASEAN plays for the wider region, even beyond Southeast Asia. Henrick Z. Tsjeng and Shawn Ho are Associate Research Fellows with the Regional Security Architecture Programme at the Institute of Defence and Strategic Studies, S. Rajaratnam School of International Studies (RSIS), Nanyang Technological University (NTU), Singapore. This article first appeared in RSIS Commentary. Posted in ASEAN, ASEAN Centrality, ASEAN Economic Community, ASEAN-China Relations, Defence-Security, Diplomacy, Foreign Policy, Khmer Times, Regionalism, South China Sea, US-ASEAN Relations. Malaysia’s foreign policy will continue to be focused on strengthening ties with its South-east Asian neighbours, Foreign Minister Datuk Saifuddin Abdullah said as China flexes its muscle over the resource-rich region. But he added that the full extent of the country’s foreign policy will be spelt out by Prime Minister Tun Dr Mahathir Mohamad when he addresses the United Nations General Assembly in New York in September, Straits Times reported today. “ASEAN is always premium. ASEAN member states really have to come together, be on the same page, not only with China, but any superpower,” Saifuddin told the Singapore daily in an interview yesterday. The Malaysian Foreign Minister admitted that it will not be easy to manage ties with China, which is also Malaysia’s largest trade partner, noting that other ASEAN members too have significant trade and other bilateral interests with the Asian superpower. “Security is another story altogether, and ASEAN centrality is missing. We can speak in one voice and negotiate and explain our position better. Hopefully, then China and others will appreciate our position and concerns,” he was quoted saying. While Malaysia still holds to the “fundamental principles of non-alignment, non-interference” and does not support violent actions by sovereign powers, Saifuddin expressed confidence that the business community in the 10-member ASEAN will look to Dr Mahathir to play a key role as he has done in the past to safeguard their economic interests. “The grassroots, the small businessmen, the small-medium enterprises don’t really feel (ASEAN Economic Community (AEC) represents them. Social entrepreneurship is where you can strike a common denominator where people in all 10 member states can benefit. “We need to bring them as government contractors, if you like, or as empowered non-state actors to play a more active role,” he told the Singapore paper. Saifuddin also said he hopes to engage Singapore — one of the five founding members of ASEAN — on ways to bring other parties into discussions to enlarge the ASEAN Economic Community and to move away from the concept that the grouping is only for “big people and big companies”. Posted in ASEAN, ASEAN Economic Community, China, Diplomacy, FM Saifuddin Abdullah, Foreign Policy, International Relations, Malaysia, Regionalism.